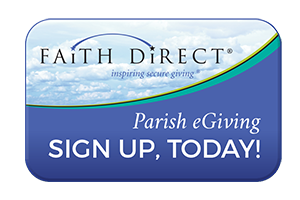 All clergy, paid parish/school personnel and volunteers who work regularly in a supervisory role with/or around children or youth must be fingerprinted. The following are updated monthly schedules offering dates, hours, and addresses of fingerprinting locations in all five regions in our Archdiocese. Phone numbers are included with each site to schedule an appointment with fingerprinting. Please remember that each site now has duplicate forms that the applicant can fill out on site. One copy is kept by the operator and one is for the applicant’s record as a proof of compliance. Appointments are still necessary to facilitate a smooth operation in the field. We appreciate that every parish and ministry wants to cooperate fully with Archdiocesan policies in providing a safe environment and we are aware that appointments can be difficult to find because the schedules fill up rapidly. Please emphasize the importance of keeping an appointment or calling in advance to cancel so that others can be given the opportunity to be fingerprinted. We thank you in advance for your patience as we move towards our common goal: protecting the faithful of the future.